300 meters below the cliff, Su Yi finally found an entrance to a small cave. He hid the entrance and went inside it. After getting inside the cave, Su Yi heaved a sigh of relief, his face slightly white. The man who had arrived at the end of the fight was at least a Yuan Xuan Realm Third Grade. The difference between a Yuan Xuan Realm First Grade and a Yuan Xuan Realm Third Grade was far too big. “I should stay low for a while.” Su Yi mumbled in his heart. Though that adventurer party was not big, it still consisted of quite a few able people. If there was a strong cultivator in the group, he would be no match against the person. Any adventurer party which dared to enter the Forest of Demons would always have at least one or two people whose cultivation level was high enough to lead the party. After using “Overlord’s Fist”, Su Yi had expended a lot of energy. He sat down with his legs crossed and summoned the mysterious space. He would recover much faster when he was inside the space, Furthermore, he had collected five stalks of White Jade Fungi. If he was to put them within the mysterious space and nurture them, the final product would be of much higher quality. Within the mysterious space, the energy of Heaven and Earth was abundant. 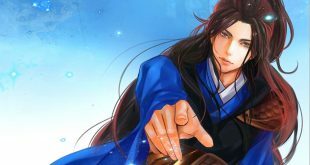 Firstly, Su Yi checked the spiritual herbs he had planted last time, realizing that only the average spiritual herbs managed to really survive and grow. The other half of the spiritual herbs did not actually live and grew, but they did not wither and rot as well. Within this space filled with energy, their medicinal fragrance seemed to have grown much stronger. Su Yi was already very satisfied that half of the spiritual herbs managed to settle down and grow. Inspecting the spiritual herbs, just their colors alone had a huge change. Su Yi was very pleased, the corner of his mouth curved up slightly. Then, he carefully planted the five stalks of White Jade Fungi. Su Yi had taken great care to remove these stalks of White Jade Fungi. The base was still completely intact so, their chances of survival and growth in the space should not be a problem. After finishing planting the herbs, Su Yi immediately sat down and started meditating. Even though he did not have any severe injuries, he had some small ones and he had also expended a lot of energy. Performing the “Supreme Chaotic Yuan Technique”, a light started shining from Su Yi’s body. A shapeless presence was coming out of his body, which seemed to resonate with the mysterious space. As time gradually passed, the aura of Su Yi’s body started to recover, and his pale face regained some color. Within the forest, amidst a mess, the corpse of a Green Jade Python laid there cut cleanly down the middle of the body. Blood flowed from the corpse, forming a pool of blood. A number of men stood at attention, not daring to breathe heavily. A middle-aged man in grey clothes was squatting on the floor, looking at the body with a ringed blade stuck in the chest. The expression on his face was as bad as it could be, both of his fists were clenched tight and his eyes were bloodshot. “Leader, the brat has escaped. There is no news of him yet!” A man stepped forwards and softly reported to the man in grey clothes. “Find him! His cultivation level is only of Yuan Soul Realm, where could he have run to? He killed my younger brother! Find that brat for me at all costs!” The man said coldly, his eyes brimming with bloodlust. “Yes, sir!” The people around nodded their heads and dashed into the woods one by one. Within the mysterious space, a light was radiating from Su Yi and his aura resonated with the space. After a long while, he performed a hand seal and the surrounding aura disappeared. The light gradually retreated back into his body like a horde of snakes. Exhaling a breath, Su Yi’s eyes opened. A faint light flashed across his eyes and returned back into the depths. Checking the condition within his body, he found that he had almost fully recovered. A smile crept up Su Yi’s face and then, three interspatial bags appeared in his hand. These three interspatial bags were taken from the girl. Su Yi wanted to open these interspatial bags now. Judging from the girl’s strength, these bags should contain a lot of good items. Currently, Su Yi did not know whether or not he could open the interspatial bags since the last time he opened the bags, he was outside of the mysterious space. Holding one interspatial bag, just as Su Yi transferred Yuan Qi into it, the energy from the mysterious space surged onto the interspatial bag, enveloping it before Su Yi even knew what happened. Su Yi felt a devouring power reach the bag and then there was a glaring light. But it only happened for a moment before everything went back to normal. Su Yi did not find such occurrences strange anymore. The interspatial bag in his hand opened and many items from within fell out. Spiritual herbs, martial art techniques, weapons and an ample amount of cultivation resources along with a large heap of Yuan Stone dust fell out. “General Grade and Commander Grade martial art techniques, I have struck a fortune!” Su Yi was ecstatic. Not even talking about the huge pile of spiritual herbs, there were already several sets of martial arts techniques and even Commander Grade techniques. This caused Su Yi to look forward to the second bag even more. Repeating the same process, he started to open the second bag. Just as Su Yi tried to open the second bag, there was a blinding light which forced Su Yi to close his eyes. “Rumble…” At the same time, the entire mysterious space started rumbling and roaring, as if the sky had fallen and the earth was breaking, causing Su Yi to become worried. Fortunately, the commotion only lasted for a short while before everything became peaceful once again. When the light had disappeared, Su Yi opened his eyes again and was shocked by what he saw. The mysterious space seemed to have become even larger though not by much. But what made Su Yi surprised the most was that the mist within the mysterious space seemed to have transformed into something like steam. That was actual energy which had materialized together. Not far away, within the small depression in the ground which was spewing out spiritual essence, the depth of the essence was no longer as thick as a palm. It was filled to the point where the essence almost overflowed and from a distance away, he could already feel the movements of the energy. Su Yi knew that the spiritual essence was a huge treasure and it had increased a lot in volume. “Could it be” Su Yi was stunned. He immediately emptied the bag and a mountain of Yuan Stone dust fell out as if a mountain had collapsed, almost covering Su Yi completely. Su Yi retreated to a corner and looked at the hill of Yuan Stone dust in front of him. He was absolutely shocked. Compared to the previous time, the amount of Yuan Stone which was within the bag must have been far greater. But how would Su Yi know that this bag was the one that the girl had robbed from Black Fiend School? And now, it had landed into his hands and was devoured by the mysterious space. Digging into the pile of dust, Su Yi frantically searched for more items but there was nothing. It seemed that all the bag contained was Yuan Stones and nothing else. Su Yi was not disappointed. Though he did not find anything within the bag, so many Yuan Stones had been devoured by his mysterious space anyway. Taking out the third interspatial bag, Su Yi tried opening it, hoping that the bag would contain some martial art techniques, spiritual herbs and stuff like that. In his current situation, what he lacked the most were those items. But in the end, Su Yi was disappointed. He could not even open the interspatial bag. “Could it be that there are no Yuan Stones inside?” Su Yi was confused. Was it because that there were no Yuan Stones within the bag, so the mysterious space was unable to open it?